By Roberto Bissio, Coordinator, Social Watch. Over the last months multinational corporations have jumped from the ‘economy and business’ pages of world newspapers to the sections on ‘crime and police’: Volkswagen was found guilty of programming its cars to cheat on emission tests enabling it to contaminate while on the streets way beyond the acceptable limits. The sugar industry was exposed as having a long record of fake scientific research aimed at blaming other factors for the health problems that they create. Goldman Sachs helped the Greek government in 2001 to lie about the state of its economy, in order to be admitted into the Eurozone. Between 2012 and 2015 the most powerful banks of the world, including Barclays, Chase Morgan, Citibank, Deutsche Bank, HSBC, Lloyds, Royal Bank of Scotland and others, paid billions of dollars in fines for having manipulated for their own benefit the exchange rates among global currencies and the Libor interest rates that determine the cost of billions of credit operations around the world every day. In fact, many banks have been actively helping people in government around the world hide their assets, as widely exposed by the publication of the Panama Papers, while in South Korea, Lee Jae-yong, heir of Samsung, was arrested on charges of bribery, embezzlement, hiding of assets overseas and perjury, linked to the process that led to the impeachment of president Park Geun-hye. The Report of the High Level Panel on Illicit Financial Flows from Africa, known as the Mbeki Report after the Commission’s chair, former South African president Thabo Mbeki, concluded in 2015 that US$50 billion leaves the continent illegally every year, double the total Official Development Assistance (ODA) received by Africa. Contrary to public perception, the bulk of these illicit flows does not result from the actions of corrupt government figures, smugglers of arms or diamonds or drug traffic, although all of these obviously exist, but from tax-evading transfers originating from legally-established multinational corporations, particularly, but not exclusively, in the extractive sector. Technology corporations such as Uber even went beyond operating without authorisation or openly against the law in many cities and developed a software known internally as Greyball to identify law enforcement officers and steer its drivers away from them. Of course these are just some ‘bad apples’ and we should not assume that any business entity is guilty of misconduct until otherwise proven. Yet the epidemic proportions of bad-appleness, linked to the fact that when caught, executives largely get away with paying a fine and retiring with hefty pensions, frequently at the expense of their victims, may be one of the factors that is leading frustrated voters around the world to empower those that promise to ‘drain the swamp’. When it comes to the ambitious 2030 Agenda on Sustainable Development, the notoriously underfunded United Nations (UN) system, the multilateral development banks, and the donor countries that fund the UN and own the development banks, want to trust implementation to vague ‘partnerships’ with multinational corporations. Institutional hopes that business will come to the rescue seem so high that the UN General Assembly granted observer status to the International Chamber of Commerce (ICC) from 1 January 2017. This is the first time that a business organisation has obtained observer status at the UN General Assembly. 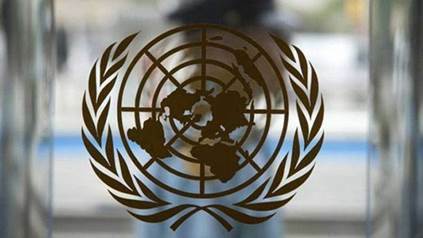 So far, the list of organisations with observer status was mainly limited to non-UN-member states, such as the Holy See and the State of Palestine, and intergovernmental organisations such as the African Union and the Organisation for Economic Co-operation and Development (OECD). Trade unions and civil society organisations do not have such status. The initiatives to be formalised included Every Woman, Every Child, Sustainable Energy for All, Education First and several more. The official press releases are very optimistic. Every Woman, Every Child has purportedly ‘delivered’ US$10 billion and Sustainable Energy for All, saw pledges of US$50 billion in 2013, its first year. These amounts are impressive, considering that the total ODA of the richest countries is about US$100 billion dollars a year, and is falling. However, what these numbers actually mean is not easy to figure out, as they only add up ‘commitments’ that in most cases extend over several years, sometimes decades into the future. These grants, and often also loans, are not received or controlled by any UN agency or developing country governments. There is no demonstrated additionality to ODA and other financial commitments made in inter-governmental fora. Nor is there any proof that those monies add to what those involved would have disbursed independent of any new initiatives. Ultimately the proposal was withdrawn by Ban Ki-moon, when it became clear that it was not supported by key governments from North and South that demanded more transparency and oversight. By joining these initiatives, corporations may be winning direct access to ODA monies, with the argument of ‘leveraging’ them, and indirectly benefit from access to the procurement budgets in ODA recipient countries, to the detriment of local small and medium enterprises. Similarly, the agency of local civil society actors might suffer as only large global CSOs specialising in service delivery may have access to these initiatives. Several governments questioned the transparency and usefulness of the proposed Partnership Facility and it was never approved. That promise to multiply grant money by hundreds of thousands comes with the standard neoliberal macro policy advice to provide guarantees and subsidies for private investment, plus a change in the use and nature of public development grants, which now become public-private partnerships (PPPs). This offers a moral hazard, as losses and failures will be ‘socialised’ and covered with taxpayers’ monies from donor and recipient countries, while the profits will only be in the hands of the investor. PPPs are a ‘buy now-pay later’ form of procurement that usually cost more than any alternative, but are preferred by decision-makers because they conceal the generation of debt. They have frequently been associated with high-level corruption and inefficiency, and numerous studies quote PPPs as causing the financial crisis in Portugal and to some extent in Spain. Yet, with the support of the G20, the International Monetary Fund (IMF) and the multilateral development banks, PPPs have become more and more frequent and laws and constitutions in more then 150 countries have been changed or are being changed to make PPPs possible. Those changes include, in the case of international development agencies, changes in their information disclosure policy to defend the commercial interests of the private partners. 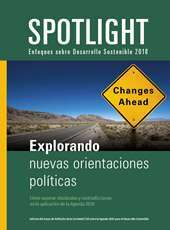 Some developed donors have started to ‘leverage’ their donations by channelling them to private investments, usually by corporations from the donor country, and others have conditioned their support to CSOs to the beneficiaries receiving a substantial proportion of their income from corporations. But just adding another ‘p’ to the formula and making them public-private-people partnerships by including some CSOs in the mix would sound like mere window-dressing, and might create serious reputational risks for the CSOs involved. In the triangle formed by the state, the market and civil society, many forms of interaction, collaboration and partnership between different actors will always be explored, and that dynamic is healthy. But civil society entities should never forget that the source of their legitimacy is not the votes of citizens but the respect for their integrity, and the measure of their impact is not the money they administer but their contribution towards checking the power of the state and market. 1 “World’s largest business association gets direct voice in UN decision making,” blog by Svenja Brunkhorst and Jens Martens in Global Policy Watch: https://www.globalpolicywatch.org/blog/2016/12/19/direct-voice-decision-making/. 3 ‘The Global Sustainable Development Facility: 2B2M’, internal document, UN Development Programme, New York, July 1998, quoted by The Ecologist, Vol. 29, Number 5, 1999. 4 Joshua Karliner, ‘Co-opting the UN’, The Ecologist, August-September 1999. 5 The author was a member of the committee. 6 Prepared jointly as a discussion note for the Development Committee by the African Development Bank, Asian Development Bank, European Bank for Reconstruction and Development, European Investment Bank, Inter-American Development Bank, International Monetary Fund and World Bank Group. This article was originally published in the Civicus State of Civil Society Report 2017. New Report: Highjacking the SDGs?